As we have discussed earlier regarding the importance of keywords and the crucial role keywords play in search engine optimization, one can only optimize a website in relation to keywords, if one actually has the right ones. You can only put keywords in the right places, once you have come up with the keywords that are the most beneficial for rankings and the most relevant to your content. The search for better keywords is not a once-and-for-all task, but rather a continuous process and a challenge since online environments, the likes and dislikes of users, what is trending or popular, and the way people talk about things, keeps changing. For the purpose of discovering the best keywords possible and staying in the online trend loop, search engine professionals do something called keyword research. Keyword research involves exploring the actual terms used in queries by users on search engines, with the aim of discovering niche keywords that are yet to become competitive and then these keywords are looked into further to find resembling or substitutable keywords. This whole endeavor is powered by keyword research tools, which have the functions of a thesaurus and word suggestion built into them. The end of this activity is to select keywords, which are relevant to the content and ideal for the SEO objectives of a website. The basic aim of all keyword research is to develop a kind of library of terms, which are as relevant to the content of a website as possible, yet have not been used to death by other SEOs and webmasters. Ideally, keyword researchers are looking for terms with lesser competition and more search potential (how many users search for it). A good find for a researcher could be characterized as a term that a lot of people are putting into their queries but not a lot websites are using in their content – the higher the former value and the lower the latter, the better the keyword. However, there is a dilemma in keyword research. Though terms that have little competition are easier to work with in terms of rankings, they also have fewer searches. Keywords which have strong competition may have searches in the millions, and thus a lot of potential traffic to offer, but they are very difficult to work with when it comes rising in their rankings. So different SEO professionals will have different strategies in what kind of keywords they pursue and how the pursue them. Let us look at a few examples of what keyword research is all about. Let us take a really popular keyword that has a lot of searches and traffic to offer already. The first one we will look at is ‘weight loss’, which when you type into Google, you get 14 and a half million results for. Now it goes without saying that this keyword is pure gold, but almost impossible to get even an average ranking for, let alone be on top of the first page. A keyword researcher will look for terms that convey the same meaning as ‘weight loss’ but one that is easier to battle for rankings wise. So say for example, we change it to ‘reduce weight’ and voila, we are down to just 2 and half million results, which means we have cut the competition down almost six times by just changing the words a little. Now, this keyword can be furthered adjusted by narrowing down the competition even more through adding words to make it more specific. We can do this in a number of ways; for example, by adding a geographical filter by adding in a city or country to the keyword and making it into a phrase, or buy focusing in on more specialized content. Let us look at an example of these two methods. We could employ a keyword phrase like ‘reduce weight with aerobics in Montreal’ or ‘reduce weight using supplements’. In both these cases we would have come to an even more workable competition and yet have a lot of potential traffic to attract. We started out with a subject that had 14.5 million other competitors and we narrowed it down to just a hundred thousand, while remaining within the proximity of the original immensely popular keyword. This is what keyword research is all about and why it is so important. Let us take one last example. 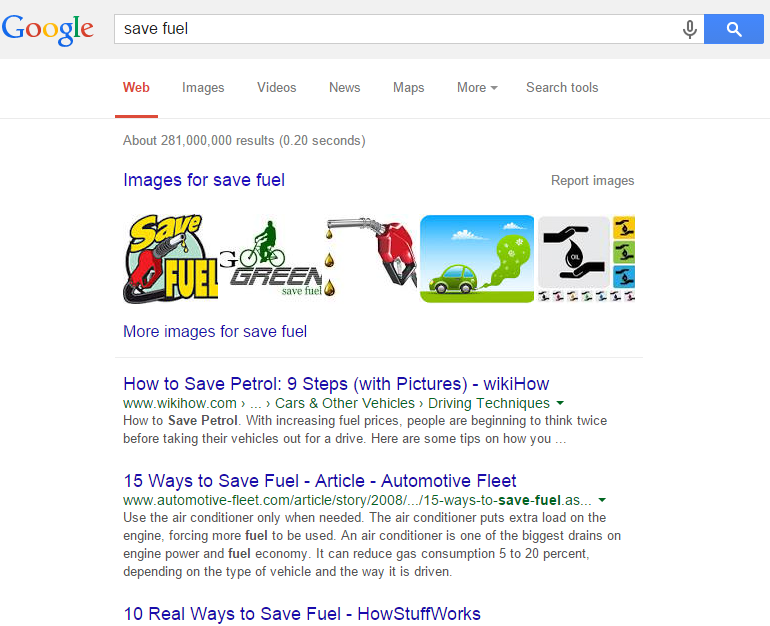 This time we will use an even more popular keyword – ‘save fuel’, which runs more than 280 million results. Now you might be thinking it is impossible to work with a figure like that. But keyword research can make it workable. 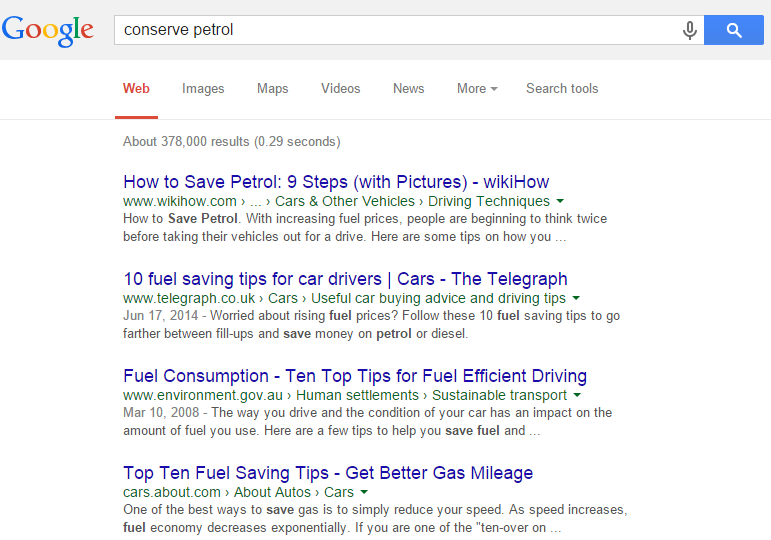 Let us replace ‘save’ by a less common verb and replace fuel with a less general noun, and indeed when we type in ‘conserve petrol,’ we have only 370,000 competitors as opposed to the original 280 million that we were up against! This is the power of keyword research. Now let us look at the tools used to conduct keyword research. Keyword research involves the use of a whole arsenal of tools available online; some of them are paid and some of them are free. And of course, you will come across tools which are free within some parameters but to take advantage of their full functions and capacities, you will need to buy a premium package. In this section, we will be exploring some of the most useful tools available right now and how you can make the most of them. First let us look at the paid tools and the premium services they offer. 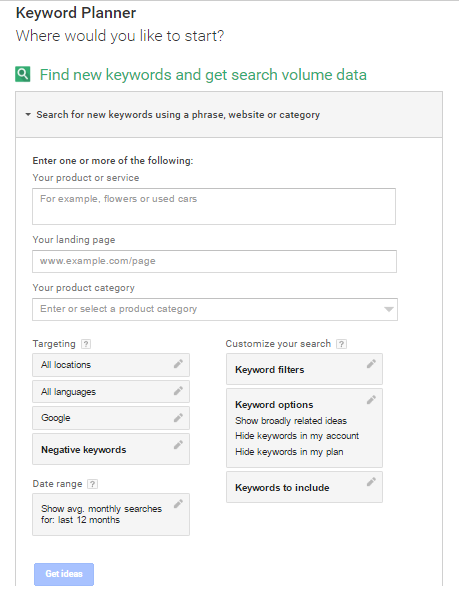 Launched in May, 2016, Keyword Explorer enables you to go through all of the phases of keyword research, starting from discovering keyword ideas to getting metrics and filtering keywords. 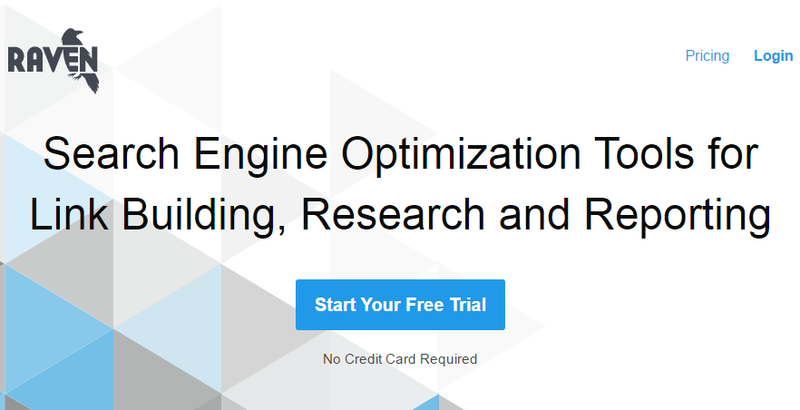 Moz offers 30-day free trial so you can fully explore the potential of this tool and how you can benefit from it in the process of website optimization. With 30-day free trial and payment plans starting from $49 per month, this tool is on the expensive side, but it is certainly worth it as it combines keyword tool with SEO reporting and audit, rank tracking, user management, etc. You can use this tool to identify keywords, find your competitors’ best keywords, apply filters and refine the selection of keywords by priority. Raven SEO tools for link building, research and reporting, combine several tools in one, including keyword and competitor research. Raven uses the data from Majestic, Moz, Google AdWords and OpenCalais to provide you with keywords and competitor intelligence and insights. To use this tool, you will need premium membership, which begins at $99 per month and comes with a free 30-day trial. This tool is really more like a weapon of espionage as the name also suggest. It is essentially a tool to counter your competition, and for looking at what is going on backstage on their SEO enterprise. You can conduct research regarding your competitor’s paid results, organic results and the affiliate keywords they are using. 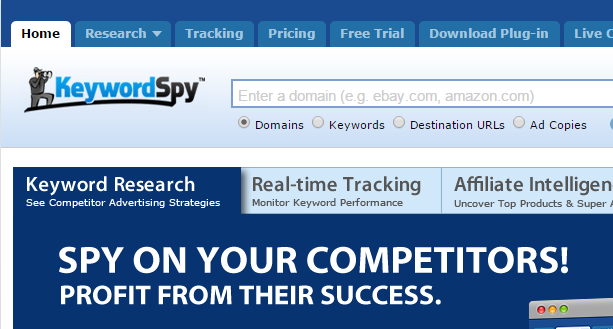 Keyword Spy will set you back $89.95 per month, which is the starting cost. Wordtracker is kind of a unique tool because of a feature that you might not find elsewhere. It lets you know what your users are typing in their searches when they are on the verge of buying something. It brings to you high-performing and profitable keywords for all your e-commerce needs. Pricing for this tool starts at $27 for the bronze membership, $65 for the silver and $99 for the gold. Silver is the bestseller and it is usually enough for most of your research needs. 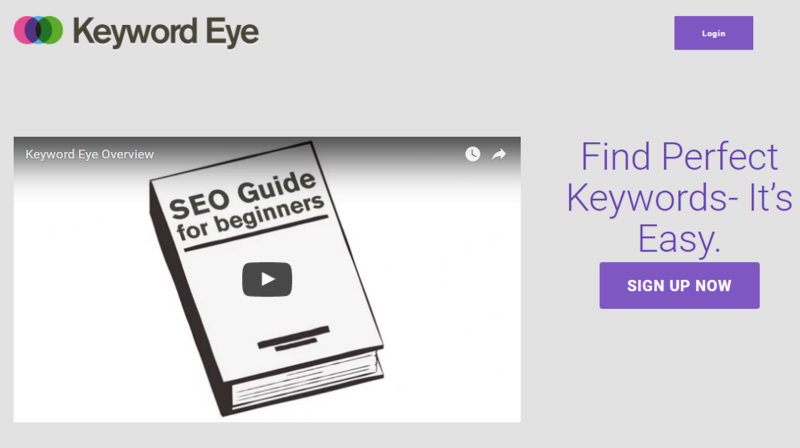 KeywordEye shows what your potential customers are searching on Google, as well as what questions they are asking. You also get access to retail market data from Amazon, YouTube keywords, competitors’ keywords and their backlink profile. Trial is available for $1, with $44 monthly membership, and $35 per month when paid annually. Now, let us explore what the internet has to offer for free. Although being a paid tool, its free version is quite effective for your keyword research needs and that is why it is being discussed in the free tools section here. SEMrush is exceptionally good at telling you through its metrics the size of competition on any given keyword being used on Google. SEMrush will also provide you with similar or related terms for the keywords you are analyzing. This can be very helpful for staying up to date. 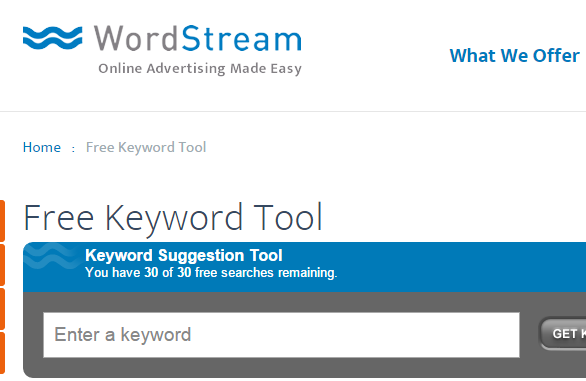 With over a trillion terms stored in its awesome database, WordStream’s Keyword Tool is a game changer in aiding you to select the most lucrative keyword and possible long tail keywords possible. The SEO Book Keyword Tool will give you the daily search volumes, cost estimates for Google AdWords, links to other vertical databases and a lot of other functions. This tool requires registering for a free account, as only logged in members can conduct the analysis and keyword research. With up to 6 months of search history to offer you as organized data rather than averages, Bing’s Keyword Research aids you in exploring what users are searching for on Bing. 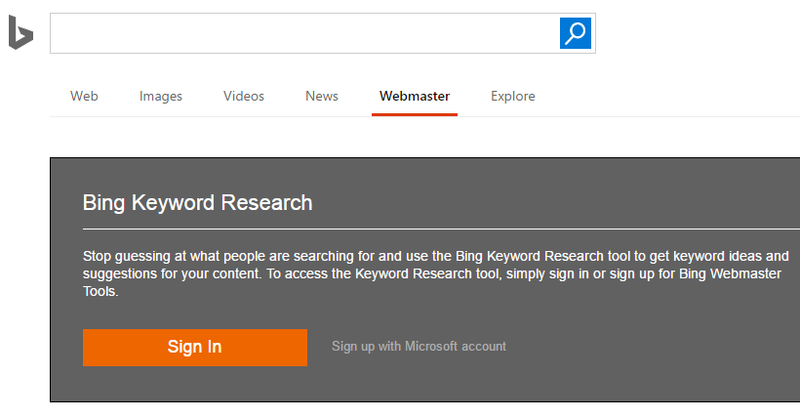 You can find this tool in Bing’s Webmaster toolbox. You will need to sign in to gain access to this tool. Well now that you have seen 10 examples of paid and free keyword research tools, you probably have a good idea why tools are required and how effective, efficient and pivotal they can be in conducting keyword research and in SEO affairs generally. It is not just about creativity, it is also about having a good toolbox or arsenal ready, so you can put that very SEO creativity to practical use with as much ease as possible. Although keyword research tools can help a site owner or a webmaster understand what users are searching for in search engines and even present any such information in organized and analytical ways, they cannot aid you in understanding the value of a given search word and its contribution to traffic. That needs to be done the good old-fashioned way – through trial and error hypothesizing and analysis. Firstly, you need to do some brainstorming and construct some parameters out of a few basic questions. What is the relevancy of a certain keyword? If you were a searcher using the same keyword, would you be content with what you found on your page? How much is this keyword doing for you income wise? Is the generated traffic translating into financial gain? If the answers to these questions affirm the value of your keyword, you should go on. Secondly, test your keyword in different search engines to understand where you stand in terms of ranking and competition and get a general idea of what you are up against. A keyword that brings up a good number of advertisements or sponsored results on the top of the results page has a fair degree of lucrative possibilities and potential for easy conversion. Thirdly, it is a useful practice to use paid advertising, using Bing Advertising or Google AdWords and analyze how that traffic goes in terms of converting users for your website and the generation of revenue. Opt for the choice of ‘exact match’ on Google AdWords and direct that traffic to the most relevant page on your website. Then follow the traffic for at least 300 clicks or so, keeping an eye on the conversion rate amongst other information. Lastly, you can use the data you have gathered to construct a rough sketch of the value of a certain keyword and what it is doing for you in your current set up. Looking at the number of users that visited your websites and how many converted into profit for your website, will give you a figure for how much each visitor is worth in terms of dollars. If you managed to attract 200 visitors, out of which four turned into a profit for the website of $360, then each of those visitors is worth $1.8, which is a decent figure if you manage to rise to the top of the rankings to get better impressions, increasing the click-through rates over the course of the next few days. You could turn 400 visits per day into 1200-2000 visits, meaning you could make a small fortune in terms of revenue within a year. Remember how we said earlier, how great it would be to do well in the field of a really general and popular keyword like chocolate or cars? Well actually, it turns out that doing well with such a term (rankings wise) might actually not be such a profitable idea. It is all because of a mysterious and elusive thing that SEO professionals like to call long-tail. It sounds amazing to be able to work with keywords which have 10,000 searches everyday but strangely enough, such popular terms actually make up a minority of the percentages performed, less than 20% of all search traffic actually in some cases. The really useful keywords that convert into profits and the majority visits are found in the long-tail, which makes up about 70-80% of the search traffic. 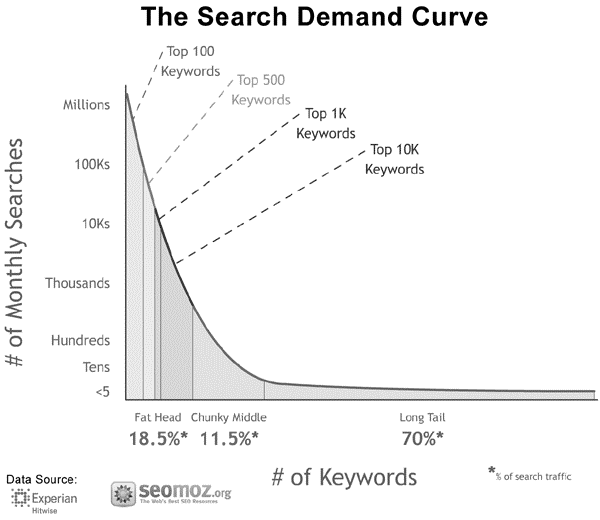 So what is the long-tail keyword? To demonstrate this concept effectively, we will need to look at a diagram. That last section of the diagram colored grey, which represents 70% of the search traffic, is what is referred to as the long-tail. Let us take a look at what just this one graph (and others usually follow a similar trend) can tell us about the internet and how it can aid our SEO efforts. First of all, you can see that the top 100 and even the top 10,000 keywords actually account for not that big a percentage of search traffic. That must mean that even if you could somehow dominate the top 1000 keywords on search engines, you would be losing out on about 90% of the total search traffic in play. There is a very interesting yet simple reason for that. People usually do not search for broad or very general keywords like ‘doors’ or ‘cool cars’. Realistically speaking, most searches consist of somewhat unique, constructed and specific phrases made up of more than one keyword. When was the last time you searched for just ‘dogs’ on Google? So while there may be keywords which singlehandedly have a lot of searches and generated results, they accounts for a small percentage of the total search traffic, as most searches are of the opposite nature; specific, custom and unique with not many searches behind them. In other words, the internet is made up of lots of different keywords and phrases searched by a small number of people each, rather than a few keywords, which are searched by millions. The real juicy traffic is actually all in the tail. Secondly, why are we running after traffic? Why are we looking for better rankings? It is not just for the heck of it. It is about generating profit from the visitors to one’s website. That process is far easier with traffic found in the long-tail because they already have an idea of what they are looking for. Who do you think is at the stage of buying a scooter, the person who searches for “Red Scooter” or the person who searches for “Buy Honda Dio Z London” on a search engine? When it comes to your own website, you will need to think of keywords in terms of your own long-tail keywords. The decision to for which keywords and long-tail keywords to optimize is a crucial one and it will likely affect the amount and (just as importantly) kind of traffic you get, your conversion rates and ultimately the profitability of your website. Different parts of the keyword can bring different types of traffic. It is a good practice to have a diversified SEO target strategy, which focuses on the long-tail, and staying updated on new long-tail keywords, but which also optimizes content to have some potential share in the single keywords.